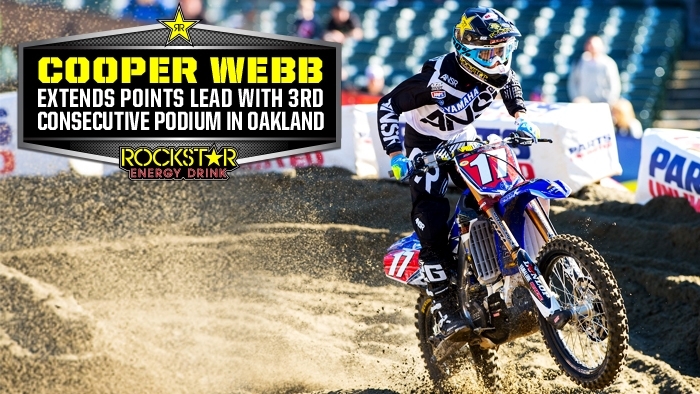 Cooper Webb didn't get a great jump out of the gate in Oakland but has proven in recent weeks he can come back and win. As he was moving into a podium position he was hit hard by Tyler Bowers in a controversial collision sending him to the ground. Cooper got up and put in another inspirational performance all the way to the second spot on the podium, cleanly passing Bowers on the way.